My research focuses on the development and adaptation of sustainable agriculture technologies in southern Africa. 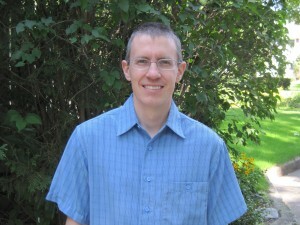 I use a wide range of research methods (including qualitative interviews, surveys and system dynamics modeling) while drawing connections across the disciplines of agro-ecology and agricultural economics. For my dissertation research I focused on understanding farmers’ motivations for adopting minimum tillage as part of conservation agriculture in Zambia and Mozambique. I worked in community development for 6 years in Malawi and Mozambique with World Renew. I also spent significant time in Latin America with two semesters of my undergraduate studies in Costa Rica and a year in Peru as an exchange student during high school. I speak Spanish, Portuguese and Chichewa (southern Africa). Grabowski, P. and Kerr, J. (2014). Resource constraints and partial adoption of conservation agriculture by hand-hoe farmers in Mozambique. International Journal of Agricultural Sustainability 12 (1) 37-53. Grabowski, P., Haggblade, S. (in press). The Economics of Conservation Agriculture in Africa: The Implications of Climate Change. In: Climate Change and Multi-Dimensional Sustainability in African Agriculture to be published by Springer in late 2016. Kabwe, S., Grabowski, P., Haggblade, S. and Tembo, G. (2014). Conservation farming adoption among smallholder cotton farmers in Zambia 2002 to 2011. Indaba Agricultural Policy Research Institute, Policy Brief Number 64. Grabowski, P., Kerr, J., Donovan, C. Mouzinho, B., (2015). A prospective analysis of participatory research on conservation agriculture in Mozambique. Instituto de Investigação Agraria em Moçambique, Maputo, Mozambique. Research paper 11E. Grabowski, P., Kerr, J., Haggblade, S., Kabwe, S., (2014). Determinants of adoption of minimum tillage by cotton farmers in Eastern Zambia. Indaba Agricultural Policy Research Institute Working Paper 87, Lusaka, Zambia. 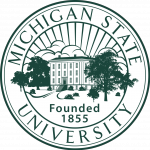 “Farmers’ Perspectives on Conservation Agriculture in Eastern Zambia” Presented at the Eye on Africa seminar series, African Studies Center, Michigan State University, October 9, 2014.